After my earlier post announcing BeerSmith 2, I received a lot of email asking when it would be available and how much it would cost. I’m pleased to announce both the BeerSmith 2 release date, pricing and also open up the preorder for those who wish to get a great discount on the next generation in brewing software. I’m launching BeerSmith 2 in conjunction with the National Homebrewer’s Conference in San Diego June 16-18 2011. As I will be attending the conference, I’m currently working to release the software on 10 June. 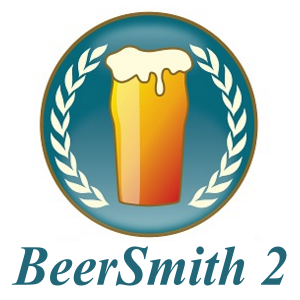 BeerSmith 2 will be available for both PC and Mac on the release date. If you want to learn more about BeerSmith 2, you can read about it here. Also I will be posting some videos shortly on the main web site showing the program in action. The regular price (both Mac and PC) for BeerSmith 2 will be $27.95 (US). This is a great value for the average homebrewer given all of the features we’ve packed into the new release, and is less than the cost of a bad batch of beer for most brewers. In addition I will be offering discounts (below) for those who choose to preorder as well as existing users wishing to upgrade. If you have bought BeerSmith 1 at any point in the last 8 years since its release, you can upgrade for$19.95 after launch. The full upgrade price ($19.95) is only going to be available until 31 August 2011. You need your registration key to upgrade. Also if you purchased BeerSmith after 15 February 2011, you can get a substantial discount on the new version. See this page for further details on how to upgrade if your BeerSmith purchase was made after 15 Feb 2011. This program will be available until 31 July 2011. Thank you again for all of your support – especially the (now approaching 100) beta testers who continue to help me improve the software! Brad, after I hit submit on this comment I am placing my order. $24 (and even $28) is a steal for how useful this software is. Congrats on wrapping up the project, and have fun in San Diego. Wish I could join you, but hopefully next time. Will the software be available on the OSX App Store? If so, can you preorder it and download it through there? I prefer that format for updates, etc. Thanks! I’m planning to make it available in the Mac store after release, but unfortunately I need to make a slightly modified version to comply with the app store requirements. Its on my “to-do” list, but will likely not happen until after the release date. Thanks for the post-Feb-15 discount. I bought 1.4 literally the day before your previous blog post. Will def be upgrading. Is it possible to pay with creditcard (or any other non paypal way)? How does the new version perform under Linux (Wine)? v1.4 was great with exception of some complications caused by requiring DLLs and IE4linux. Tristan – I’ve been told that 2.0 runs well under Wine with the exception of printing issues (related to IE). However in 2.0 there is a very simple workaround as there is a save button on the preview window that lets you save reports as HTML and print them from a browser or other tool. Send me an email and I can offer an alternative to paypal if needed. Will you be working on an iPad version as well? I have v 1.4 running on my PC. Can I pay the upgrade price and then use the same key to install on both my PC and Mac? I’d also like to transfer all my recipes from my PC to my Mac. Is this possible? Thanks. Yes, you can upgrade and install on PC or Mac (up to two computers total per key as long as both are for your personal use). The Mac and PC versions can read and write BeerSmith 1.4 files. I have not decided yet on the iPad version yet – I need to do further research to see if the program can be ported to the iPad easily or if it would require a complete rewrite. BeerSmith is a must have for any homebrewer. I can’t wait for 2.0. Hi Brad, is this translated into Spanish? It’s not just for homebrewers! I’ve been using Beersmith at our 7BBL brewpub for over a year. It’s been indispensable for determining mash/sparge temperatures and volumes. Scaling up batches from homebrew size to commercial size has been great as well. Can’t wait for v2.0 to arrive. There are several teams starting to work on translation. The Spanish group is just getting started, but if you drop me an email I can connect you with them if you would like to help in translation to Spanish. Any word on the iPad version? Awesome news on the iPad version. Any thoughts on when it will be available? Brad – Love your software and newsletters. Keep up the good work. I’m really excited for the cloud (or Ipad/Iphone) version. It would be awesome to read/follow/update recipes on the fly from an android or Ipad/Iphone. The only reason I haven’t gotten rid of my desktop computer is because the software is on it. Cheers. Any update on the status of the iPad version or the recipe cloud? The basic cloud sharing is progressing well and I hope to have it into testing soon. The iPad and mobile versions are still quite a few months off. Your software is incredible, Brad. I’ve been brewing since 1990, and I’ll say this is the single biggest improvement to the hobby in over two decades. As I meander through my daily life, beer-related ideas randomly pop into my head and I feel compelled to either craft or modify a recipe. But my home PC is never handy at those times. So I have to take notes and get to it later. If only I could access my Beersmith 2 from a remote location…. jeeze, that would be sweet. Or while I’m at the homebrew shop and I have to alter a recipe because they don’t have exactly what I need? Logging into Beersmith 2 to adjust a recipe on the spot based on which hops are fresh and available… jeeze, that would be sweet. Any time frame approximation on iPad version?? Just got the new one and can only imagine how great it would be to have Beersmith on here!! Chuck – I’m finishing up a cloud/recipe sharing server first and then plan to follow with the mobile versions. It will be probably about 6 months before I have the first mobile apps available. Glad to hear the iOS app is well in development. I’d be more than happy to be a guinea pig for testing/bug reporting (I used to write and publish UAT documents before launching new systems). Great to hear my preferred brewing software is going cloud and mobile – it’s damn sweet, I already bring my ipad in brewing days just to spend time while waiting for the mash to complete, now if I could also use it to apply notes and changes to my recipes in real time… wow. No more need to remember to bring a notebook, no more random collection of utilities to recalculate gravity and dilutions, it’s all there! Can’t wait! Going well – I’m focusing on iPhone and Android and should have a “lite” version in beta testing this fall. The full version will follow later this winter along with the iPad specific layouts. Brad, great to hear the push for mobile platform. I was able to help develop an ios app at work through test flight and if you need beta testers, I’m sure you could many followers to help you out myself included. I’m really enjoying V2.0 and BeerSmith 2 Lite on my iPad. When can we expect a full version release for iOS? Whenever it is, I look forward to it!